LMU Munich will act as Speaker for the newly established DFG Collaborative Research Center devoted to Chromatin Dynamics. Work at the CRC will focus on the effects of chromatin structure on the regulation of gene activity. In higher organisms, the genomic DNA is packaged and organised in the cell nucleus by interactions with specific histone proteins to form a structure called “chromatin”. The basic unit of chromatin is the nucleosome, which consists of histone particles, around which the DNA double helix is wrapped like threads on spools. This packaging protects the DNA molecules and enables them to fit into the nucleus. On the other hand, it is crucial for cell function that genes can be activated or repressed in response to changing conditions, and the DNA must be accessible to repair enzymes, and for replication prior to cell division. This flexibility is achieved by the action of specialized chromatin-remodeling proteins, which alter the composition, structure and packing density of chromatin as the need arises, allowing the appropriate complement of genes to be activated at all times and in every cell type. The newly established DFG Collaborative Research Center on Chromatin Dynamics will investigate the mechanisms that confer this structural and functional plasticity on chromatin. “It was widely assumed that chromatin spends most of its time in a stable state. Recent findings, however, suggest that chromatin states are much more dynamic than has been thought,” says Peter Becker of LMU’s Adolf Butenandt Institute, who will serve as the Speaker for the new CRC. Indeed, chromatin is constantly being remodeled and chemically modified in response to factors such as metabolic signals, changes in environmental conditions, and ongoing developmental processes. Work at the new CRC will be dedicated to explore fundamental aspects chromatin plasticity. 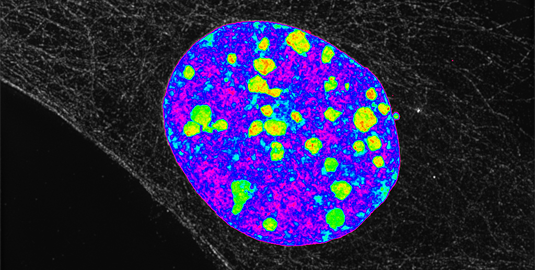 Thus the researchers hope to gain new insights into the basic structural features and dynamics of chromatin, from the atomic and molecular scales to the detailed cytology of microscopically resolvable substructures in the cell nucleus. The collaborating teams will focus on three main topics, nucleosome remodeling, histone modification, and the dynamics of chromatin structures that repress gene activity. “One of the most important aspects for us, and a particular strength of the CRC, is the interdisciplinary investigation of the many different components involved in chromatin dynamics, all of which interact with each other,” says Becker. “We are dealing with a complex system, which can only be understood by considering all its regulatory mechanisms.” The researchers therefore place particular emphasis on intensive exchange and interaction between the different groups involved, which together will bring a broad spectrum of theoretical, methodological and technological expertise to bear on the project. Munich is well known for the quality of its contributions to chromatin research, and many of the participating groups have cooperated closely with each other in the past. In this respect too, the city provides an ideal location for the new CRC. The new CRC on Chromatin Dynamics will take up its activities on 1. October, and is funded until 2017, with a total budget of some 10 million euros. In addition to LMU as coordinating institution, the Helmholtz Center Munich and the Max Planck Institute Biochemistry in Martinsried are involved in the project.